There is no exact scientific formula for calculating how long vicodin stays in your system. There are several variables to consider when attempting to ascertain how long a person’s body will show evidence of vicodin usage. Most of the different variables to consider when figuring out how long vicodin stays in your system are directly correlated to the person who has ingested the vicodin. A person’s weight, a person’s body mass index, a person’s metabolic rate, the amount of vicodin ingested, the frequency of use, the length of consistent use, and finally the strength of the vicodin, are the key factors to consider when figuring out how long evidence of vicodin usage will stay in a person’s system. 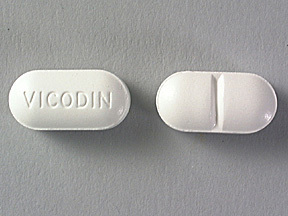 Vicodin is a trademarked brand narcotic painkiller containing hydrocodone and acetaminophen. Hydrocodone is classified as an opiate because it is derived from one of the many different narcotic alkaloids found in the opium poppy. There are many different kinds of natural and synthetic opiods that are refined and sold in our nation’s pharmacies and on its street corners. Some of the better known opiates are Morphine, Codeine, Thebaine, Papaverine, Heroin, Hydrocodone, Demerol, Lortab, Oxicodone, OxiContin, Percodan, Percocet, Fentanyl, Sublimaze, Hydromorphone, Dilaudid, and Methadone, and these form the bulk of the prescribed narcotic pain killers as well as some of the most dangerous drugs found in the world. Opiate drugs cause the user to experience a pleasant drowsy state, a lessened sensation of pain, slowed breathing, and an overall sense of euphoria. Narcotic pain killers work by blocking the path of the chemical messengers that signal pain in the spinal cord and brain. Most opiate drugs enter the bloodstream easily because they dissolve in fatty substances which allow them to cross into cells and ultimately into the brain. Opiates are water soluble which is very significant when considering how long evidence of their use will stay in your system. 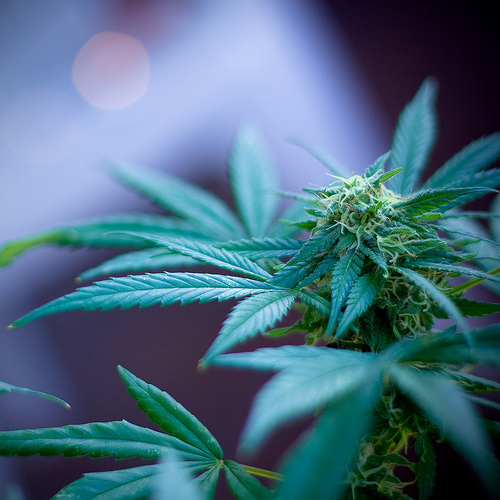 Some drug metabolites like THC, which is found in marijuana, are not water soluble, and thus remain in your system for periods of time far greater than water soluble metabolites. When a substance is water soluble, it means that is breaks down and dissolves in water easily. This allows it to exit the fat cells much more rapidly causing any evidence of its usage to vanish in a fraction of the time compared to how long something like THC takes to leave your system. All substances that go through the metabolic process end up having their byproducts stored in the bodies fat cells prior to removal through the body’s excretory system, via urine, sweat, and feces. A person’s body mass index or more commonly, their body fat percentage, is a major factor when considering how long vicodin stays in your system. The more fat a person has in them directly correlates into how many metabolites reside in our body, and hence, how long evidence of vicodin use can still be detected on a drug test. So to be clear, people that carry a higher percentage of body fat will continue to excrete evidence of vicodin usage for significantly longer than someone who is relatively skinny with a low percentage of body fat. The amount of vicodin taken, the frequency of vicodin use, the length of consistent use, and the strength of the vicodin taken are to also be considered when calculating how long vicodin stays in your system. Obviously the amount of vicodin taken will have a direct correlation on how long it will stay in your system. The more vicodin a person consumes will result in a greater number of metabolites produced, which will be stored in the body’s fat cells. The same logic can be applied when considering the frequency of vicodin usage by a person. Frequent usage of vicodin will cause a constant supply of metabolites to be stored in the body’s fat cells, thus making evidence of vicodin usage detectable for greater periods of time. Another factor to consider is the length of consistent use of vicodin. If you take vicodin often and on a consistent basis, evidence of vicodin use will continue to be detectable for longer periods of time compared to an infrequent user. Vicodin also comes in varying strengths of milligrams. The more potent the vicodin is, the longer it will stay in your system. Most vicodin contains only 5 milligrams of hydrocodone, though some vicodin has up to 10 milligrams and is sold as “Vicodin HP”. Taking all of these factors into consideration, we can estimate with a clearer degree of certainty how long vicodin will stay in your system. The common perception is that vicodin will only stay in your system for 24 to 48 hours, and this is true in some cases. However, in cases where the user has a high percentage of body fat, or where the user had ingested a more potent vicodin, or when the user is taking vicodin on a more consistent basis, vicodin can still remain in your system for up to 7 days. The graph below presumes vicodin with a hydrocodone concentration of 7.5 milligrams. Determining how long vicodin can be found in a person’s hair is a little easier to predict. Human hair is like a record of what we eat, drink, inhale, and even where we live. As mentioned earlier, vicodin metabolites are stored in the fat and eventually excreted through our urine and feces. 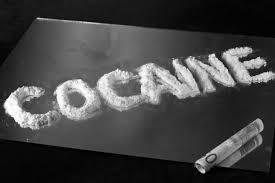 The presence of vicodin metabolites in the hair is based on the same premise. The bloodstream circulates metabolites throughout the body, and since the bloodstream nourishes developing hair follicles, metabolites are deposited in the hair follicle and the hair shaft where they become trapped and then grow out with the hair. 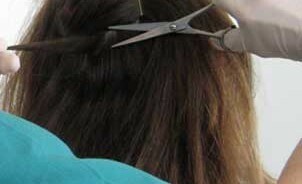 Hair grows on average of about ½ inch every 30 days. 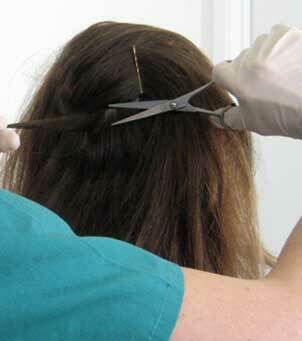 If your hair is 1½ inches long, vicodin and its metabolites can be detected for up to 90 days. If you have long hair, vicodin will be detectable for quite a long time, at least until you cut your hair and start all over again.